The nine candidates include challengers in two of Texas' most competitive congressional races: Lizzie Fletcher, who is running against U.S. Rep. John Culberson, R-Houston, and Gina Ortiz Jones, who is taking on U.S. Rep. Will Hurd, R-Helotes. 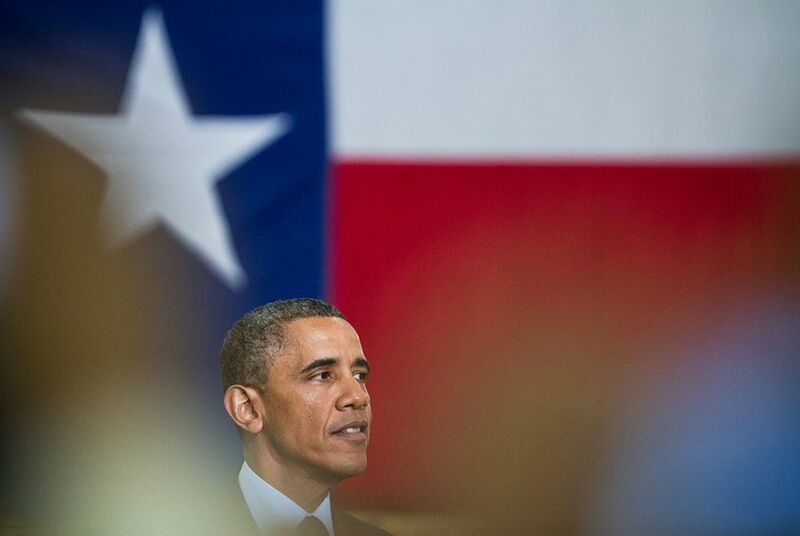 The Texans that Obama endorsed also include two who are likely to become the state's first Latina congresswomen: Veronica Escobar, who is running to replace U.S. Rep. Beto O'Rourke, D-El Paso, and Houston state Sen. Sylvia Garcia, who is vying for the seat being vacated by retiring U.S. Rep. Gene Green, D-Houston. In August, Obama got behind two Texans as part of his first wave of midterm endorsements, backing Colin Allred against U.S. Rep. Pete Sessions, R-Dallas, and Adrienne Bell against U.S. Rep. Randy Weber, R-Friendswood. Allred and Bell are alumni of Obama's administration and 2012 re-election campaign, respectively.